Believing these myths about misdiagnoses can cost you your rights and your health, a Portland medical malpractice lawyer explains. Here’s why. Treatment from medical professionals typically starts with the diagnostic process, which can involve blood tests, imaging tests, biopsies and/or other assessments. While making the right diagnosis can be tricky and can take some time, especially when people may be suffering from multiple conditions, tragically, doctors (and others) don’t always perform the right testing, read the results of these tests properly, etc. And this can end up leading to mistakes and misdiagnoses. To clarify how often misdiagnoses happen, as well as what the impacts of wrong diagnoses can be, below we have dispelled some common myths about misdiagnoses. Myth 1: Misdiagnoses don’t happen that often. Fact: Wrong! Misdiagnoses actually happen way more often than you may realize, as research has found that at least 1 in every 20 people in the U.S. receives a wrong diagnosis at some point in his or her lifetime. In fact, some believe that misdiagnoses may be far more prevalent due to the likelihood that a number of misdiagnoses go unrecognized or unreported by patients and/or medical professionals. Myth 2: Misdiagnoses don’t really harm patients because they can still get the right treatments later after a proper diagnosis. Myth 3: Even if I was misdiagnosed, there is no way to prove it. Opinions from other medical professionals (and possibly even other experts, depending on the specifics of the case). Myth 4: My misdiagnosis happened a long time ago, so I don’t have a case. There is a two year-statute of limitations for medical malpractice claims in the state of Oregon. This window of time starts on the day when the injuries were discovered. 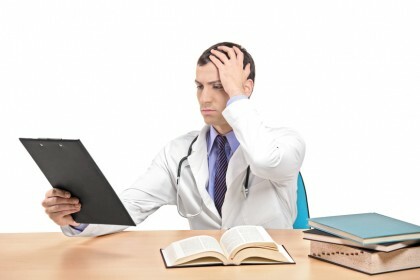 So, if the misdiagnosis happened “a long time ago,” but you didn’t discover you were misdiagnosed until sometime within the past two years, you likely still have the opportunity to pursue justice and financial recovery – and hold the negligent medical professional(s) accountable – by filing a malpractice case. Have you or a loved one been harmed by any form of medical negligence? If so, you can rely on a Portland medical malpractice lawyer at the Savage Law Firm for experienced help and aggressive legal advocacy.